Relax… Enjoy… Unwind. at Manarra Seaview Resort. Indulge in a rare kind of pampering in an exquisite natural setting. Choose from a variety massages, wellness and treatments. Our spacious fully self contained rooms are designed for optimal comfort and ultimate seclusion, all rooms and suites have spectacular sea views and present the embodiment of high end luxury. 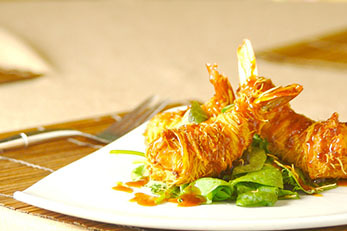 Discover a great choice for dining, we offer a wide range of delicious Filipino, Mediterranean and International dishes. 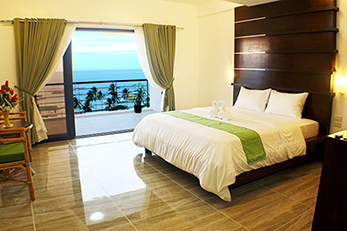 Manarra seaview resort is one of the newest resorts in sabang beach Puerto Galera. Every room has spectacular sea views, we have a great hillside location providing all aspects of the resort with uninterrupted views. 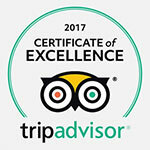 The friendly, courteous management and staff aim to deliver the highest standard of service to ensure the comfort and pleasure of all guests giving them a unique and memorable visit. A 24-hour front desk. Private bathroom for each unit and daily housekeeping included in the rates. We offer breakfast at the property with roughly cost of Php300 per person. Contact our reservation staff to know more about our new packages, promos and rates.